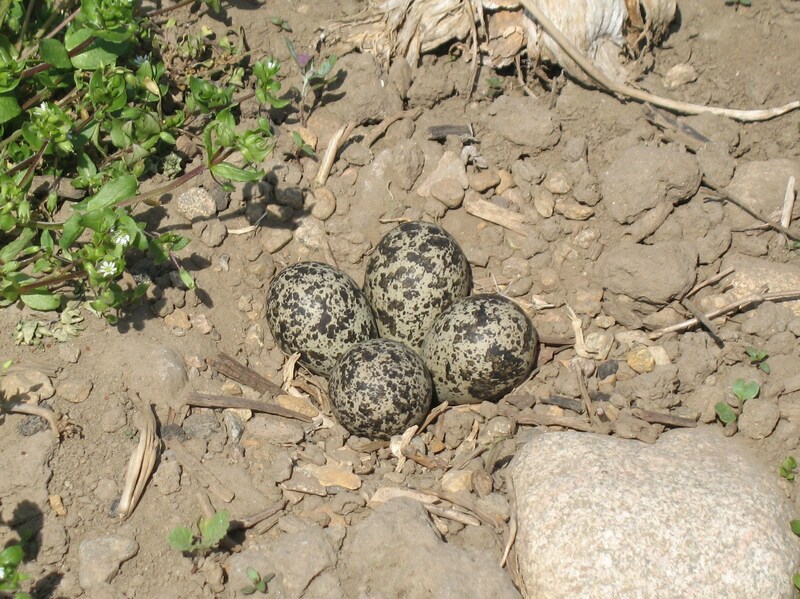 These killdeer eggs were laid in the middle of one of our farm fields. 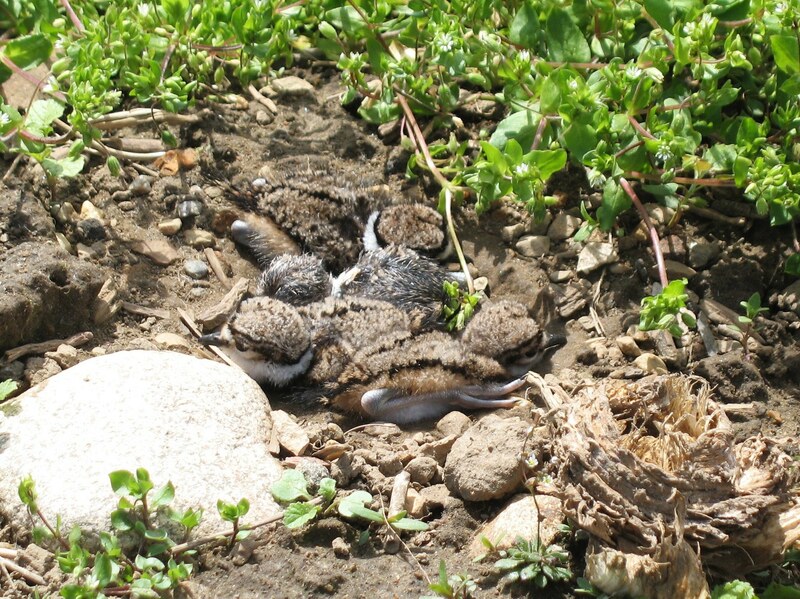 Mama and Papa Killdeer have been keeping close watch on them. Yesterday all four eggs hatched. Below are the four chicks. This entry was posted in critters and tagged birds. Bookmark the permalink. What a treat to have Killdeer not only on the farm but also welcomed by the farmer! They are special birds and it’s wonderful that you disturb their nest. correction, it’s wonderful that you did NOT disturb them. Sorry for the typo!